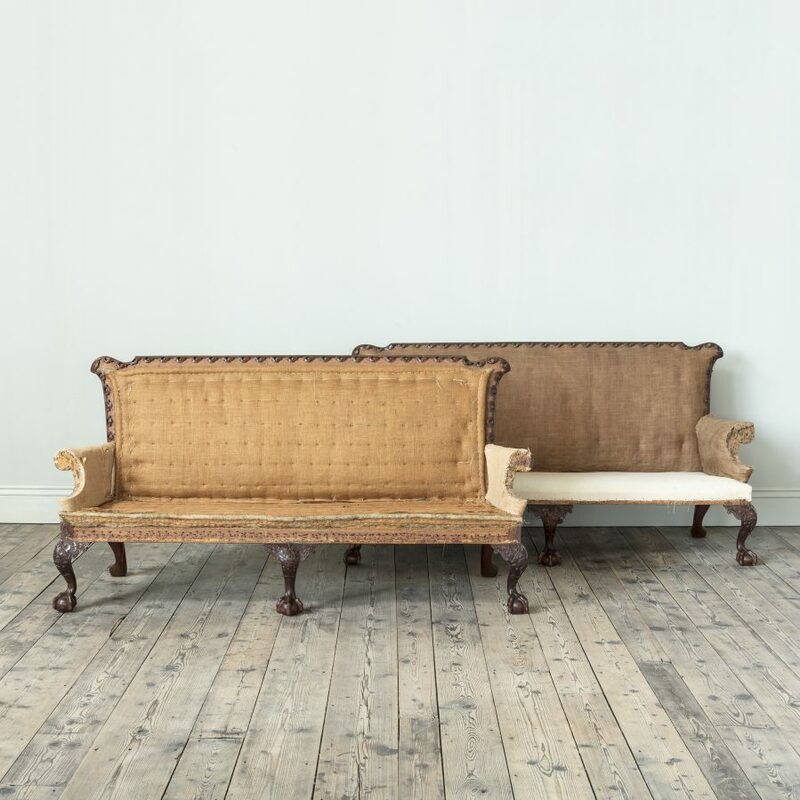 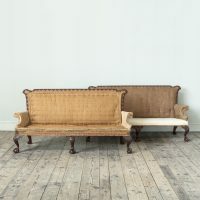 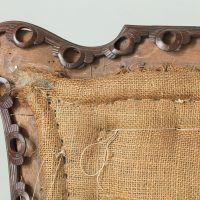 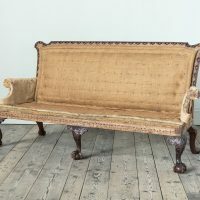 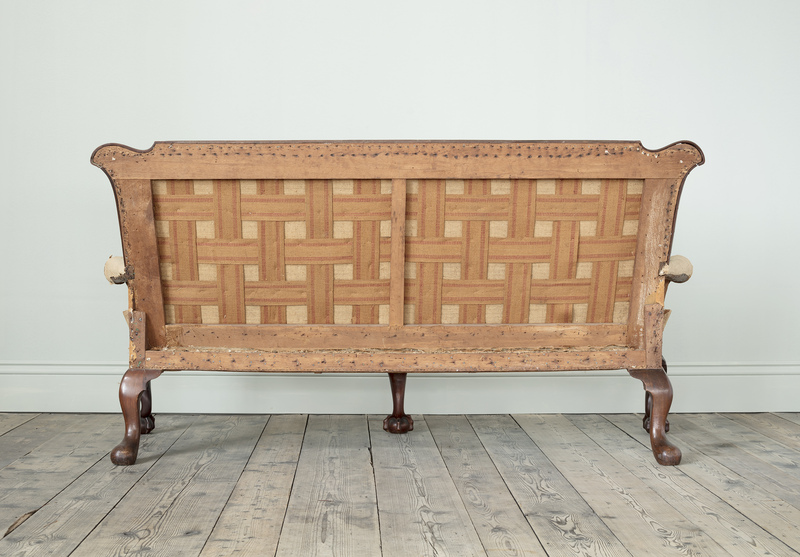 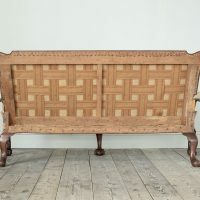 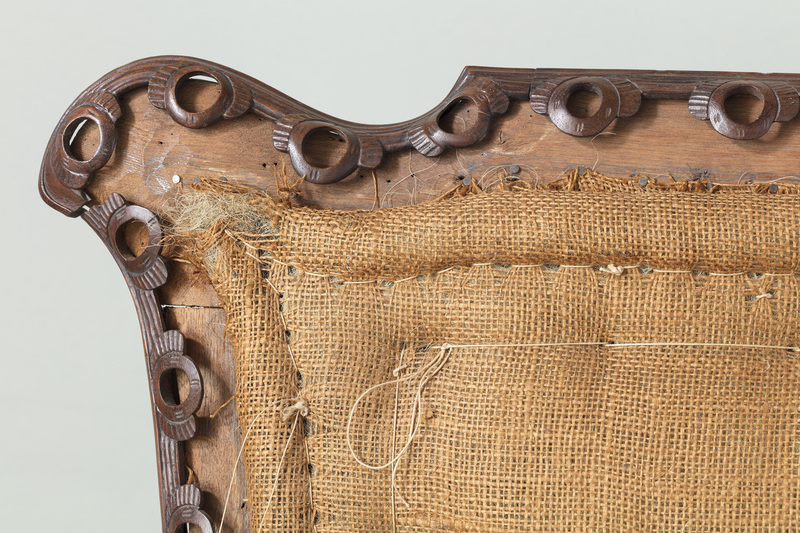 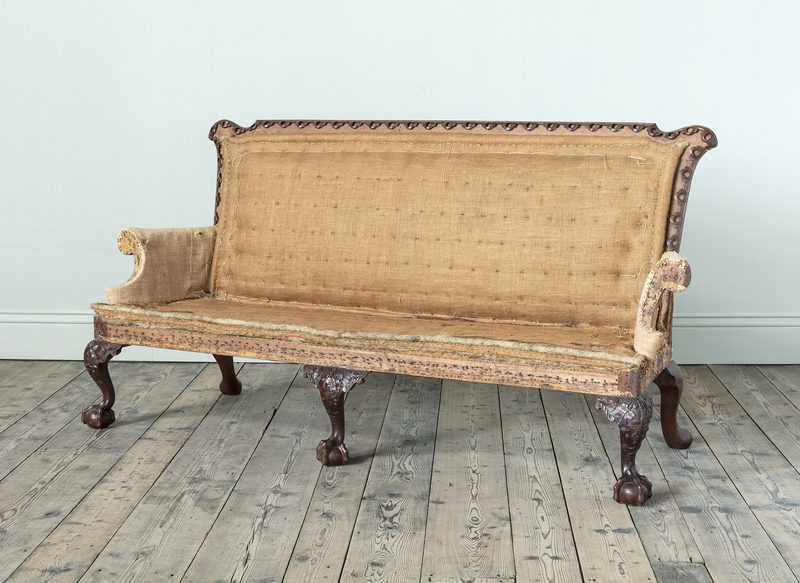 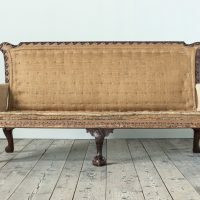 A truly outstanding and documented pair of important 18th Century carved mahogany settees, with their original carved trellis, show-wood slips designed and used for framing the upholstered backs. 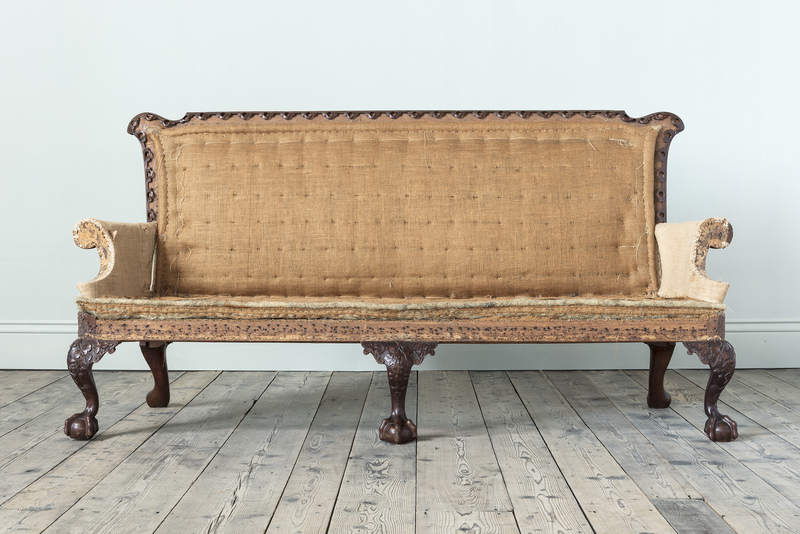 The shaped frames are very well drawn and offer a refined line to this rare pair of settees. 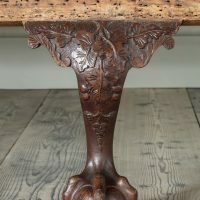 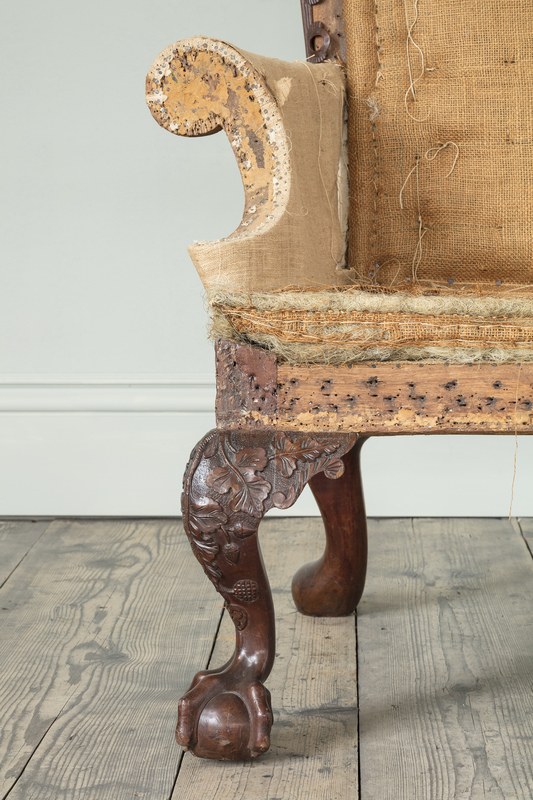 They are supported on three carved mahogany cabriole legs, to the front, of exquisite quality and bold S shaped design, carved at the knee with oak leaves and acorns and terminating in very generously proportioned eagle-claw feet. 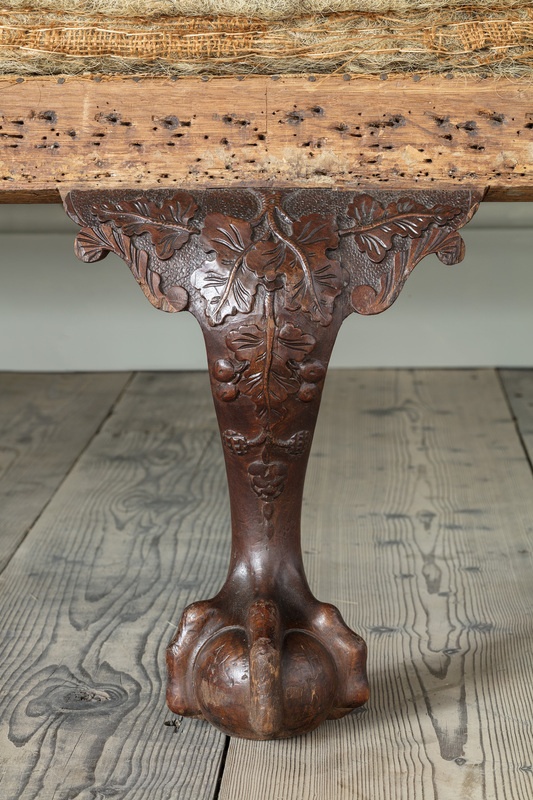 The two rear cabriole legs are of plainer design but also display a fantastic patination. 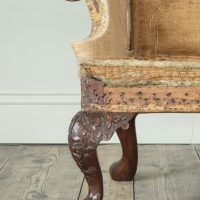 The frames and seat rails, made in English oak are in superb condition.